Please don't let the shipping cost scare you. We ship the most economical method for you unless you specify otherwise. The shipping cost is only an estimate. We must set it higher than normal in order to be able to complete the order. Most times shipping cost is much less. If for some reason it seems to be unreasonable we will call you before completing the transaction. Please call toll free 888-875-5461 if you have any questions. Wild & Playful by Penny Rose Studio for Penny Rose Fabrics is great for quilting, apparel and home decor. 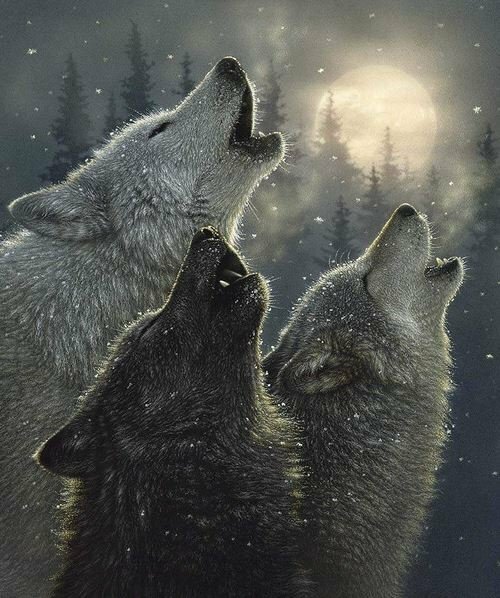 This panel features three wolves howling at the moon. Panel size is 36" x 43"